Adam Driver admits that he has known Kylo Ren's fate in Star Wars 9 since he signed on for the role. The actor first portrayed the infamous villain in 2015's The Force Awakens, which was directed by J.J. Abrams and followed it up with 2017's The Last Jedi under the direction of Rian Johnson. In the two movies, we have seen the Kylo Ren character age and evolve into something that many weren't expecting, but Driver has always known where this was all heading. In a new interview, Adam Driver was asked about his Star Wars journey and finishing up after spending so much time with Kylo Ren. Adam Driver compared it to his role on HBO's Girls where he saw his character develop over the course of a few years. However, the development of his character was constant and went on with the show. Star Wars 9 proves to be a bit different. Driver explains. "With Star Wars, I had one piece of information of where it was all going, and that's where it has been in my head for a long time, and things were building towards that. It feels very theatrical, if anything. Because in the plays that I've done, a six-month run, on the very last day, you finally feel like, Oh, now I have a better understanding of what it is that I want to do. I wish we could do this all over again. Working on a play, the questions you can ask yourself are infinite, and that's what's torturous about film sometimes - you only have one shot to get it right. And you can do a lot of takes, but we're not all going to get back together again and do this. But for something you're doing for six years, you still have a chance to go back and make something a little bit more articulated." When J.J. Abrams signed on to direct Star Wars: The Force Awakens, he was given full creative control and the same can be said for Rian Johnson. However, it looks like there may have been story arcs that were mapped out from the beginning to last through each movie, though that has not been confirmed at this time. Johnson took on a pretty drastic left turn with The Last Jedi, a move that angered many long-time fans of the Star Wars franchise. 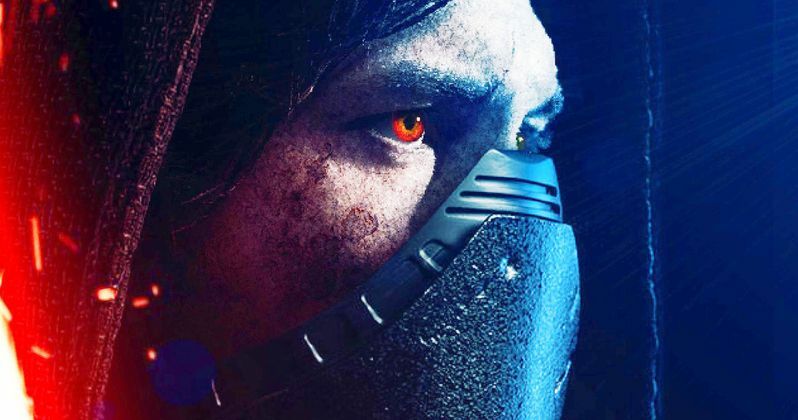 Kylo Ren is walking into a completely new situation after the events of The Last Jedi. The character took out Snoke and deemed himself the new supreme leader, which will more than likely have some consequences. It is believed that Star Wars 9 will take place one year after the last installment, so we may end up seeing Ren in a more comfortable spot with his new-found power, though it appears that he will be in a much darker space when we see him next. Star Wars 9 wraps up the latest trilogy and Skywalker saga, so fans are hoping that J.J. Abrams has something pretty big planned. The Resistance has been wiped out and is in the process of rebuilding while the First Order is under new leadership. Things are going to be a lot different this time, but the specifics are unclear at this time. Unless you ask Adam Driver, because he seems to have known everything this whole time. The interview with Driver was originally conducted by Deadline. The topper art comes from AUGEN2 on Imagur.